LARC, Inc. - LARC, Inc. 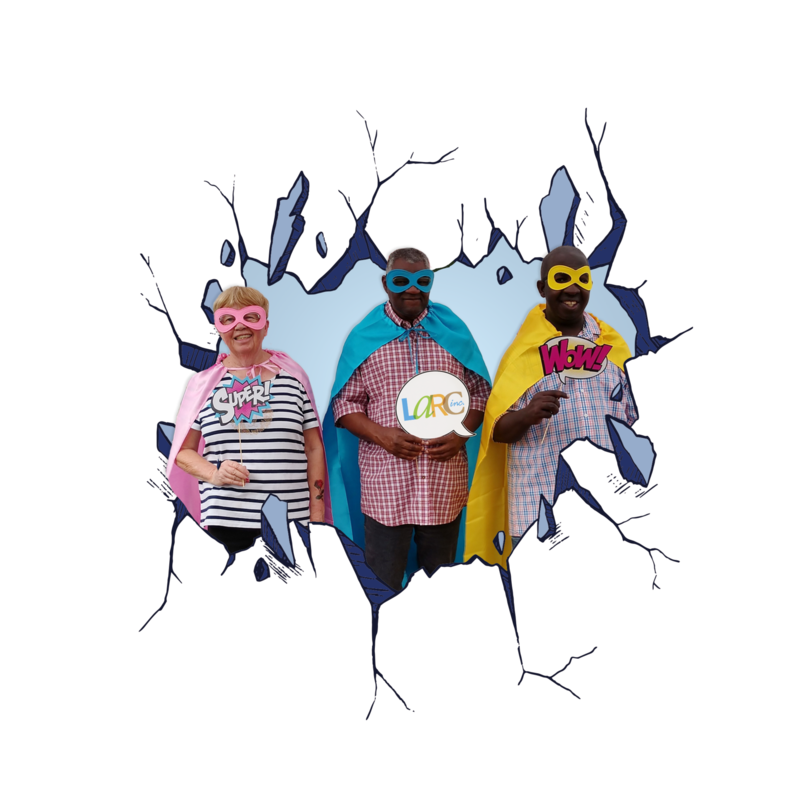 Breaking through barriers with the help of Superheroes like you! Help support a local non-profit agency that has been providing services to individuals with developmental services for over 60 years. THE TAX IDENTIFICATION NUMBER FOR LARC, INC. IS 59-0968911, AND QUALIFIES UNDER SECTION 501(C)(3) OF THE INTERNAL REVENUE CODE. A COPY OF THE OFFICIAL REGISTRATION AND FINANCIAL INFORMATION MAY BE OBTAINED FROM THE DIVISION OF CONSUMER SERVICES BY CALLING TOLL FREE 1-800-435-7352 WITHIN THE STATE. REGISTRATION DOES NOT IMPLY ENDORSEMENT, APPROVAL OR RECOMMENDATION BY THE STATE. So happy to support this fabulous organization and the work they do in our community! Thank you everyone for ur assistance with the RH World Series. We enjoyed having you with us again in 2018 & thank you for your efforts on our behalf! I love to see that new programs are being developed to assist people to make themselves the best they can be. Taylor and I would like to help LARC clients realize and grow their super powers in meaningful ways throughout every day Life! Happy Holidays to everyone at LARC ! God bless you for what you do! In memory of Heather Riley. In memory of Heather Riley, may this gift continue your efforts to help others.